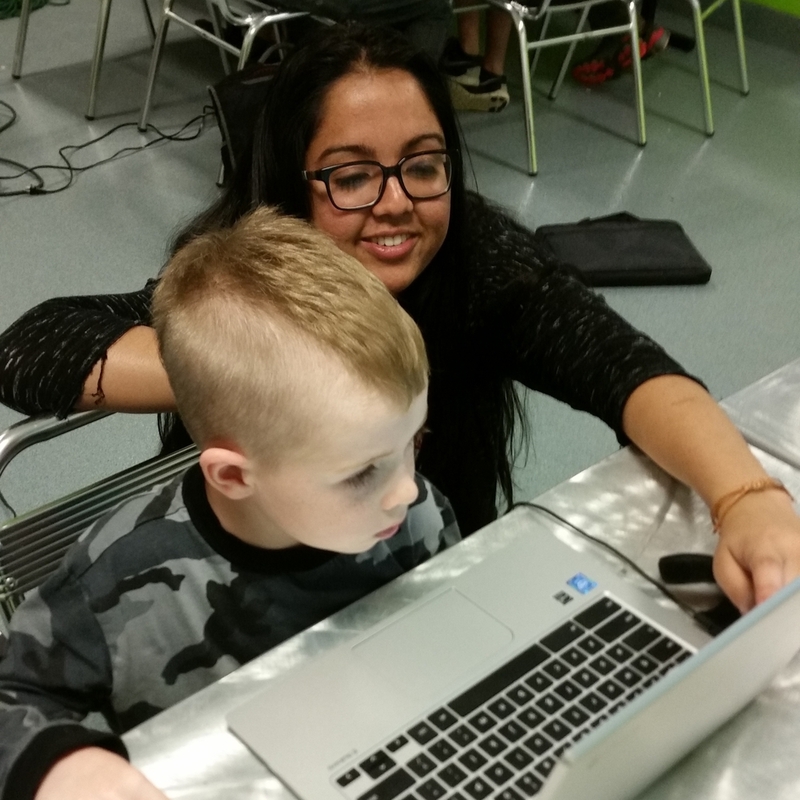 Mentors are devoted to students' growth as young coders. Volunteer mentors develop positive, encouraging relationships with students at Bold Idea program sites and serve as role models to support students’ career aspirations in technology. Mentors challenge students to collaborate and to solve any problems they encounter. Our goal is to match four mentors to every team of eight students. You'll sit down alongside your team during weekly coding sessions at one of our Dallas area locations. Along with other mentors, you'll guide students through the learning process, track their progress and support them during hands-on coding projects, like creating websites and mobile apps. Mentors also have access to training and online resources to help them feel confident in their volunteer role and with our coding platforms. Every student in every school should have the opportunity to learn computer science. With our community's technology leadership and high-tech workforce, we have a unique opportunity to support Dallas students with technology and 21st century skill development. Learning goes both ways at Bold Idea. Ever explained something to a 5th grader? By sharing their knowledge, mentors become better programmers and continue to improve their own skills. Volunteers new to coding learn the basics right alongside students. "I really enjoyed connecting with the kids. Some of them would get incredibly excited about sharing a particular aspect of something they built and I was reminded of how excited I used to get about engineering and why I chose this field." "It was fun learning a little bit of coding along the way but I think that I enjoyed seeing the girls excited about and engaged with the activities. It's great to see girls excited about technology and problem solving!" "I was able to convey my experiences working with programming to provide further incentive to kids in their pursuit of learning this skill." "I loved seeing the girls get excited about what they could create with the programming techniques we were teaching them. We essentially put the power in their hands to exercise both critical thinking and creativity. I loved teaching young girls that computer programming is something that they are 100% capable [of] doing."